It’s summer in NYC and while the Chelsea galleries are shut down for August, the museums are staging their blockbuster summer multimedia spectacles. We traversed the East side corridor to see the currently over-hyped exhibitions: the Met’s Punk: Chaos to Couture, the Guggenheim’s James Turrell light show, and the Park Avenue Armory’s epic and grotesque WS by Paul McCarthy. 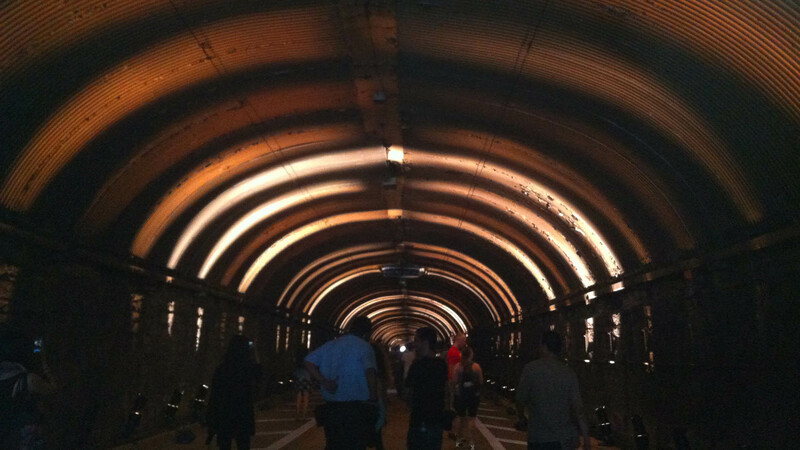 Without belaboring these problematic works (I’ll let the real critics do their damage), what stood above them all, (or should I say below), was Rafael Lozano-Hemmer’s Voice Tunnel, an interactive public sculpture and sound installation staged in the cavernous Park Avenue tunnel. It was surreal to traverse this space, which ordinarily can only be experienced while racing through at breakneck speed in taxi derbies that take place beneath the congested streets of New York City. But on a drizzly Saturday morning, thousands of New Yorkers and tourists strolled the haunting tunnel while wave after wave of amplified voices rolled through in an amazing display of light and sound. Whereas Turrell’s installation was essentially a hallucinogenic sequence of changing light that hypnotized the crowd into a trance-like spell, Lozano-Hemmer’s Voice Tunnel amplified and energized the viewer experience, transforming the voice of the individual into the crowd-sourced collage of the many. And while McCarthy’s orgiastic affair between Snow White and the Seven Dwarfs regressed into a cacophony of relentless screaming, screwing, and hollering, the multitude of voices in Lozano-Hemmer’s work seemed more a celebration of the collective experience, giving power to one person to be heard in the noise of the crowd. While I generally cringe at the sight of interactive artworks that base their premise on viewer interactivity for interaction’s sake, here, the participation takes on a profound and moving quality. As a participant, if you listen carefully, you can hear your voice become the dominant layer of a thousand voices, before it recedes gradually and poignantly into the ambient texture. For a brief moment, your voice is resonating through the tunnel, activating the space with light and sound, giving viewers from one end of the 1,400 foot tunnel to the other a dynamic experience of charged movement and pure human energy. 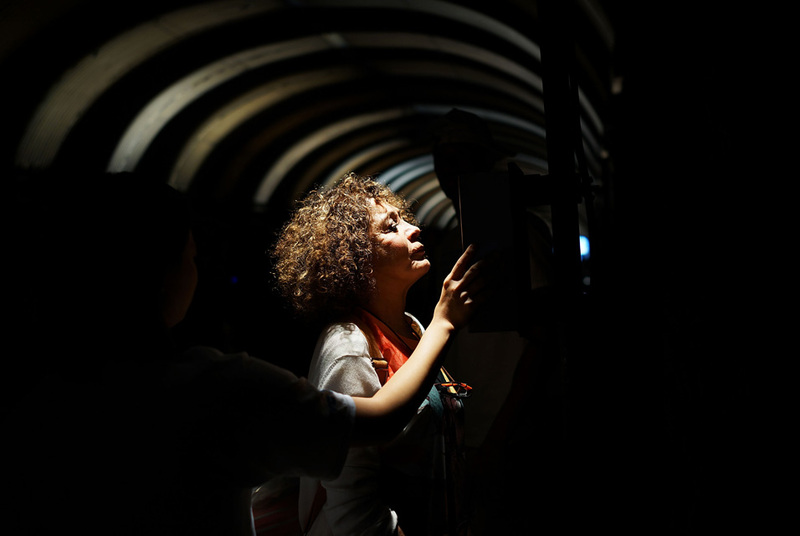 Unlike the mega-events that museums produce to pad their numbers and create the “buzz,” Voice Tunnel generates an authentic connection between its participants. And in this age of connectivity, instantaneous and global, tethered as we are to our smart phones and mobile devices, Lozano-Hemmer only asks the visitor to give voice, for a brief moment in time, in order to be heard gloriously and wondrously. This is what public art should do: it should empower the individual, not cause us to be numbed by the light or to recoil from the shout of the many.